Now and again a song tugs the heart-strings, and for me it’s more likely to be because of an under-stated beauty rather than a claw-hammer approach. 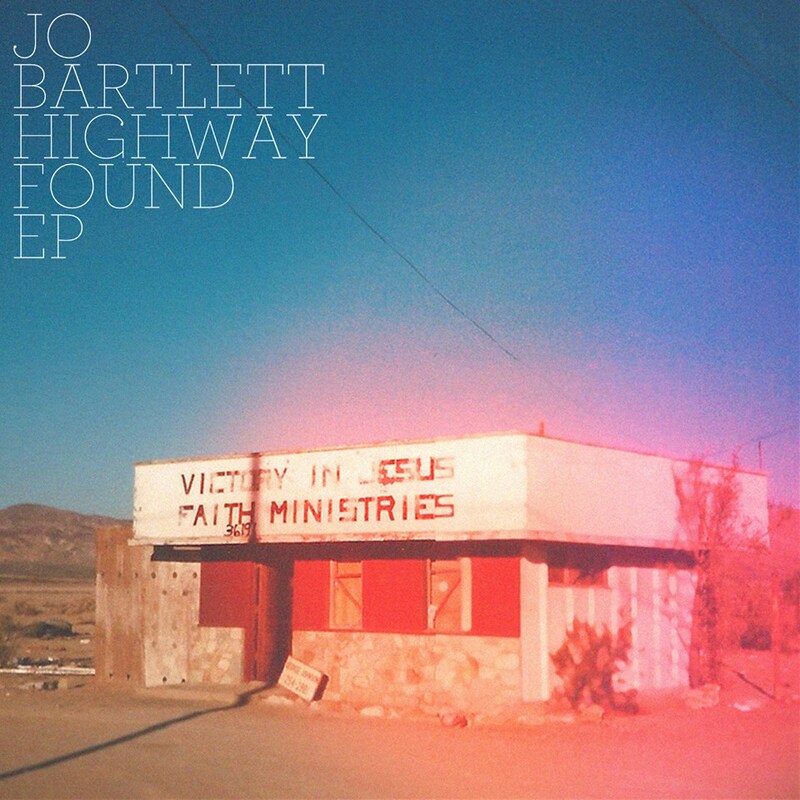 A case in point is Highway Found, the title track of Jo Bartlett’s latest EP. And it’s not the first time this Sandhurst-based songstress has managed that. Take for instance her most successful studio project down the years, It’s Jo and Danny, the critically-acclaimed pairing with hubby Danny Hagan. At this point I’ll mention that it was – frighteningly – nearly 30 years ago that I first became aware of Jo as an artist. By the time we properly met she’d moved on from indie outfit Go! 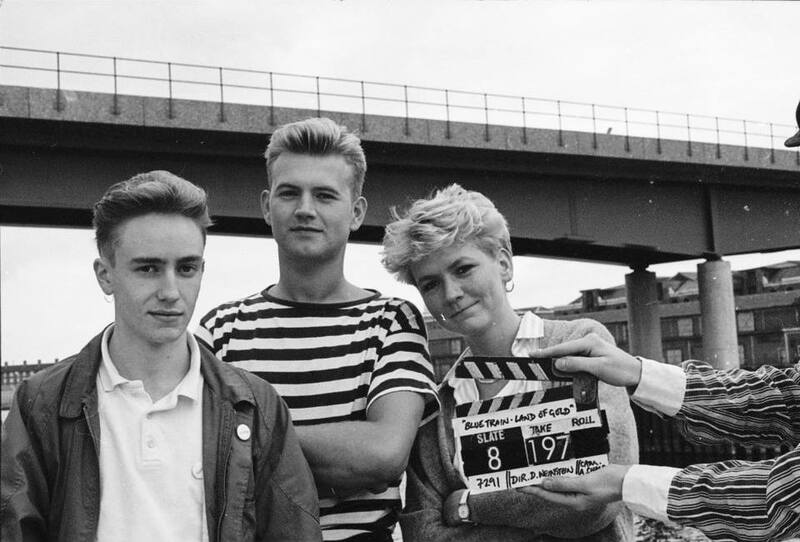 Service – recently featured on the remastered, expanded C86 collection – to Bluetrain, with both acts recording for TV Personalities main-man Dan Treacy’s Dreamworld Records. Even then she had a side-line, organising regular Buzz Club gigs and happenings at Aldershot’s West End Centre. 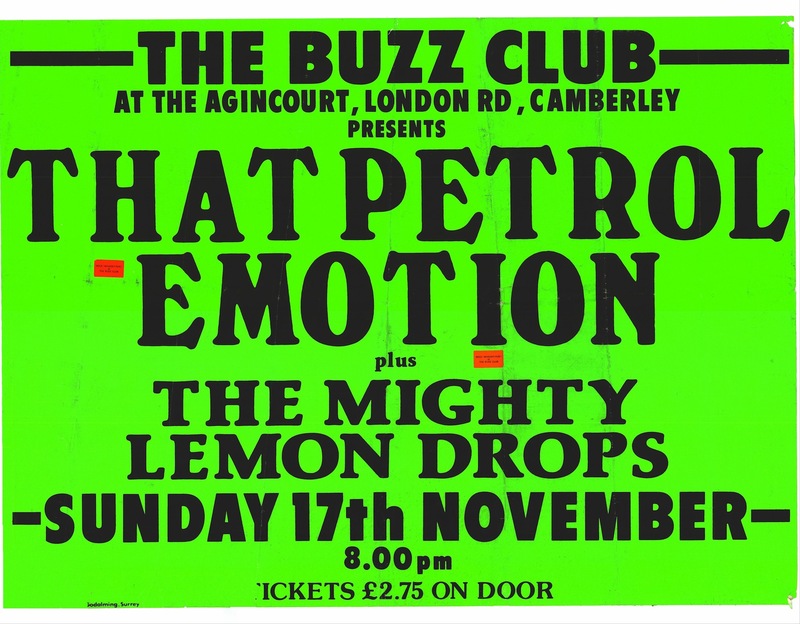 As it turns out, I was at the very first Buzz Club, at Camberley’s Agincourt pub in November 1985, catching That Petrol Emotion – and support The Mighty Lemon Drops – outside London for the first time. The Buzz Club story is something I’ll tackle in its own right soon, but at this point I was pretty much unaware of her presence. Incidentally, I only recently realised Go! Service were at an earlier TPE gig I saw a few months earlier, at the Enterprise in Chalk Farm. We were no doubt supping at the bar during their set, though (and this blog will carry a special feature on That Petrol Emotion very soon, he adds tantalisingly). 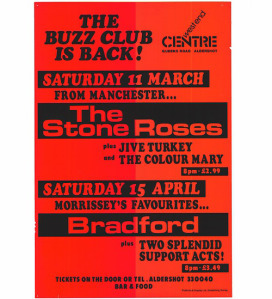 Over the next eight years, the Buzz Club’s guests included a who’s who of happening artists of that era, including Blur, Bradford, The Charlatans, Cornershop, Dodgy, Elastica, Flowered Up, Happy Mondays, Manic Street Preachers, McCarthy, Mega City Four, The Milltown Brothers, The Pale Fountains, Primal Scream, Shed 7, Spiritualised, The Stone Roses, Suede, Sultans of Ping, and The Verve. And in the next few years, as head honcho of Captains Log fanzine, our paths regularly crossed, through Jo’s club and my appreciation of Bluetrain. Not much of the latter’s promise was caught on vinyl, although I loved Parade, boasting plenty of jangly guitar and augmented by June Brides trumpet talent Jon Hunter (someone else with a Petrols link). I still proudly covert my four-track Land of Gold 12” from 1987 though, and later interviewed the band at Jo’s parents’ home. Actually, I only learned during this interview that there was a posthumous 12-track Bluetrain best of CD, released on a Peruvian indie label. Peru? Yes, forget Big in Japan – South America’s where it’s at, apparently (although Jo did point out that there was a Bluetrain tribute act doing the rounds in Japan – while denying my suggestion that they were called Bullet Train, I might add). Jo and Danny also penned an article for my fanzine during their first US travels, set for the legendary fourth issue in the Captains Log trilogy – the one that never saw publication. Time moved on, and as the sassy blonde and her affable bass-playing beau moved uptown and I moved upcountry, we lost touch for a while. The following years passed in a blur of family-building, careers and much more for both of us. And by the time I caught up again, I‘d missed big chunks. So while I was around at the start of Here Comes Jordan – their next incarnation, one that largely failed to take root, other than a few live gigs in Singapore – I was playing catch-up a few years later. 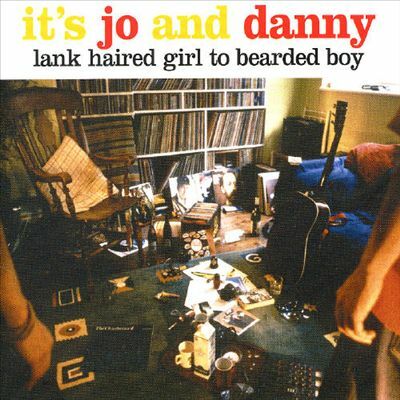 Consequently, I had to shell out in retrospect for the four It’s Jo and Danny CD releases, starting with the self-released end of millennium Lank Haired Girl to Bearded Boy. At that point, they’d both given up their London jobs to go about another crack at the big time, and with a fair bit of success this time. While that first album retains pride of place in Jo’s affection, for me it’s the second that really resonated, 2001’s Thug’s Lounge. “Really? That’s the one that got us dropped! It never got properly released after they decided that, so they did it all a bit half-hearted – not doing it justice. “That was despite some nice reviews in The Times, and Radio 1 playing Driven Away, the single. I agree. 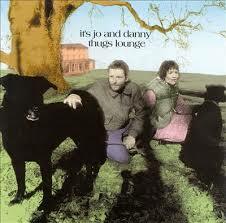 In fact, of all It’s Jo and Danny’s produce, I felt there were far more ‘stop in your tracks’ moments on that album. While parts of those 1999–2005 albums were a little experimental, there were plenty of sparkling indie-pop-folk moments too. For me, Driven Away, Dying Kiss, Real Thing and In the Here and Now were perhaps their finest moments. And while Jo might not necessarily agree, she did re-record two of those tracks for 2005’s The Quickening in a bid to get them properly heard. After It’s Jo and Danny, the pair formed the more psychedelic, instrumental Yellow Moon Band, releasing a couple of singles and the album Travels Into Several Remote Nations Of The World. Further critical acclaim followed, but with little commercial success. Then again, I’m not totally sure Jo would be comfortable being a big success if stardom finally came knocking anyway. She certainly has the talent though. 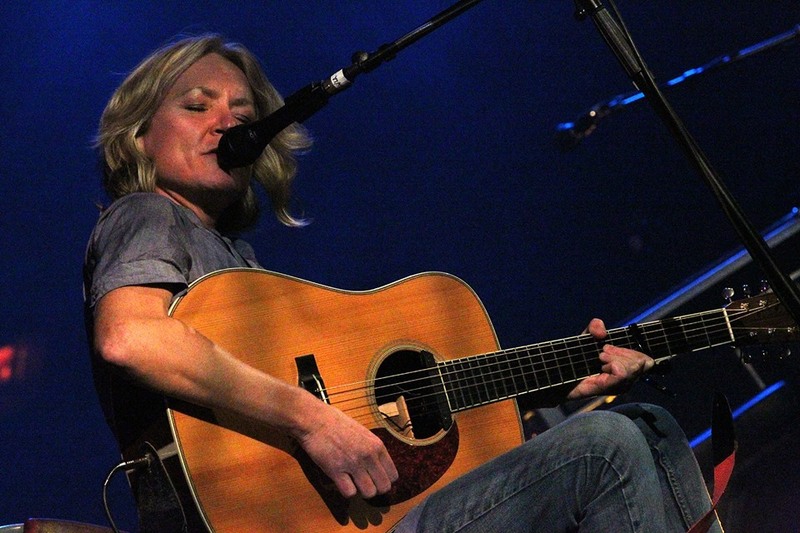 There’s plenty of evidence of that on 2010’s nine-track solo album Upheaval, even if Jo plays that down as ‘just me and an acoustic guitar, recorded in an afternoon’. I’d say it was a return to form, but I’m not sure she ever slipped below the bar. It’s just that it’s recorded in its simplest form, and refreshingly honest and all the more emotive for it. In short, it includes several sweet songs laid bare, perfect examples of what Jo can pull out of the bag. And some of those songs have been getting an airing lately, given the band treatment while helping launch her latest EP. So, back to that most-recent four-track release, and for me, title track Highway Found falls neatly into that earlier category of ‘hit in the making’. It’s gorgeously but lightly layered, the subtle strings giving a wistful feel that brings to mind Catch by The Cure. The original video footage used, shot around her beloved Outer Hebridean holiday island of Barra, seemed particularly apt. And Jason Glenister’s subsequent video plays nicely on the song’s sense of nostalgia, following a little girl as she plays by the mudflats and estuary at Hollow Shore, Kent. The other three tracks add to that, and again I’m mindful of The Cure on second track, Measure of the Storm, unable to place the riff until Caterpillar sprang to mind. There’s a Go Betweens album track guitar feel there too – like a Robert Forster song sung by Grant McLennan. Meanwhile, the harmonies – Jo backed by Jo – suggest another of my favourite bands, fellow South-East outfit The Sundays. Rising to the Bait offers another reference point, one I know was special to Jo when I first interviewed her – its guitar suggesting Lloyd Cole’s Are you Ready to be Heartbroken? While flattered by that, Jo was quick to pass that off as being down to a bizarre method of guitar tuning. I won’t go into the details. She lost me, to be honest. And then there’s Suitable Drama, with a pensive ‘castaway on a remote island’ touch back to the fore again. 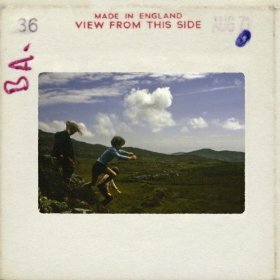 The instrumental break and strings suggest Nick Drake or Mike Scott and The Waterboys, influences probably always there just below the surface in recent years. Incidentally, she put part of that down to tuning the guitars the classic folk way, citing Martin Carthy’s part in that. Again, she went into more detail, telling me how many guitars she has around the house tuned different ways, and how it depends on her mood as to which she chooses. But this isn’t Classic Guitar Bloggers’ Monthly, so I’ll leave it there if that’s okay. None of the last three tracks grabbed me at first, but slowly got under the skin, the latter probably closer to It’s Jo and Danny as it gathers space. Yet even that EP now seems to be back-catalogue, Jo having moved on to her new band, with a current bout of recording and mixing leading towards an October release. There’s a fine online example of that new ‘guitars, bass and cajon’ sound in video footage of Upheaval’s finale Take Me To Water, shot at a bar in Bracknell recently. On top of all that, Jo’s recorded a few inspired covers, most notably a heart-felt version of the TV Personalities’ fantastic If I Could Write Poetry, and alternative renditions of Kate Bush’s Wuthering Heights and The Rolling Stones’ You Can’t Always Get What You Want. But she has more than enough of her own material to lay down too, something she was quick to enthuse about when we caught up. So Jo – and because of the 200-plus miles between us, we were on the phone this time – what’s the reaction to Highway Found been like? “Really good, thanks. Lots of nice comments via email and at gigs. Hang on. 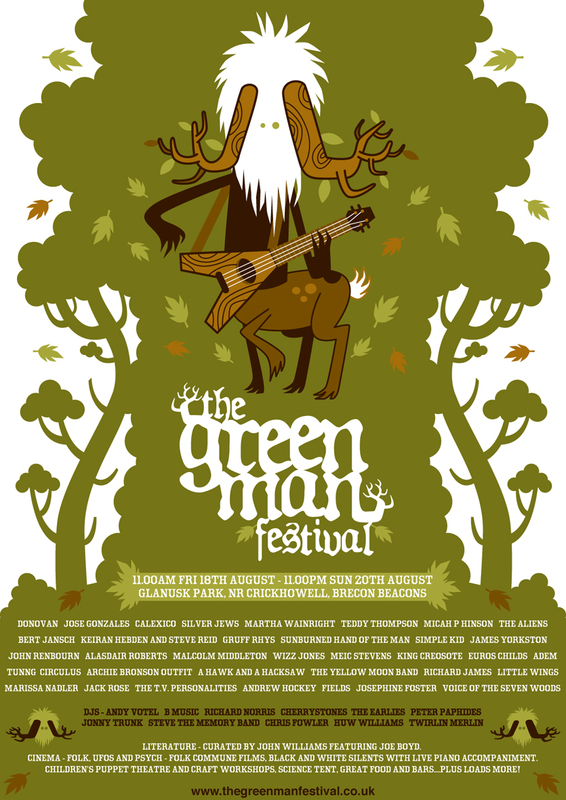 Did I forget to mention the Green Man Festival? Well, Jo’s Buzz Club experience and past role at Covent Garden’s Rock Garden in time led to her and Danny helping set up an annual event in South Wales. At that point they’d left London for Brecon, founding what was soon regarded as one of the highlights of the UK’s festival calendar. The first, in 2003, attracted around 350 people, with the organisers £9.10 down but the reviews favourable. 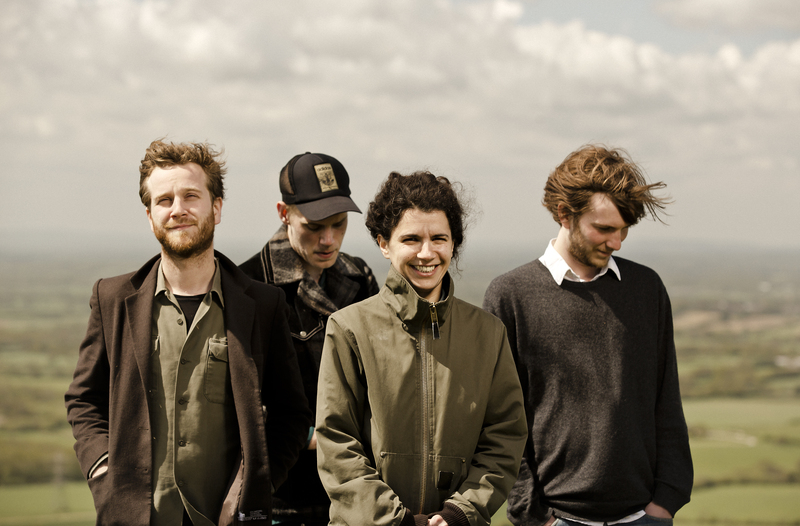 And in time a number of big-name acts featured, from Bon Iver, Donovan, The Flaming lips, Gruff Rhys, John Grant and Laura Marling to Martha Wainwright, Mumford & Sons, The National and Robert Plant. “That whole session took ages to complete. Danny wrote the lyrics, and I’d go into the studio every now and again, but there was a lot of organisation involved. “You’ll hear a string quartet on there, so I was taking the recordings to a certain level, living with them for a while, then thinking it needed other musicians on there. So, has the release of the EP been well-timed? Only you seem to have a lot going on. “Well, the emotions I was caught up in for those songs aren’t quite where I’m at now, but that’s how it often is. In fact, Richard was also with Bluetrain in their latter days, and was present when I interviewed them back in the early ‘90s. The band also includes bassist Mike Muggeridge and cajon player Gareth Palmer, with Danny out of the picture for now, having started a new lecturing role in music at a London university. Not as if he can escape the band though, as they practise in his front room (although Jo stressed that he draws the line at offers to accompany them up to gigs in the van). It’s fair to say Jo’s fairly buzzing about the new band though, and looking forward to a ‘new phase of songwriting’ with Richard. “I’ve got a new batch of songs I can’t do justice to, so the two of us are going to get together. Again, that will be in the vibe of this new band. “The best thing about this band is that they can just come and rehearse at my house, just like in the old days with Bluetrain. “There’s no drum kit, as we have the cajon, so that helps. I have a little vocal PA, we’ve all got little amps, and it makes it all potently do-able! “As you get older in life and keep doing the things in life you want to keep doing, they have to be do-able! Otherwise other things take priority. Despite the recent acoustic album and small-scale live set-up, Jo is still prone to flirt outrageously with electronica, so I can’t believe she won’t with this new project too. Jo reckoned she already had an album’s worth of material before she started on the new songs, contemplating bringing that out under her name before switching tack. As it turns out, within a minute or so, Jo seems to have decided on a name, choosing Kodiak Island, ‘which we’ve been flirting with for a while’. The name was inspired by Werner Herzog’s 2005 documentary Grizzly Man, with its Richard Thompson soundtrack. So what’s likely to be released first? 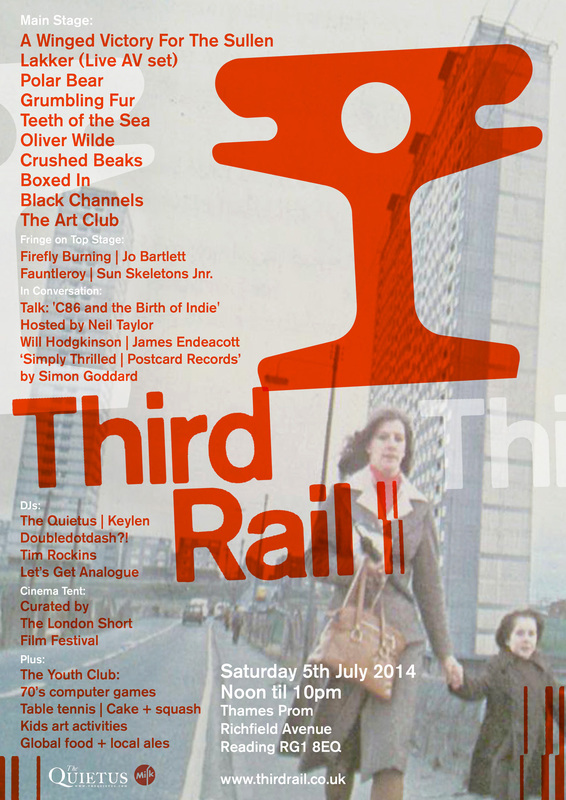 At that point, we got on to the Third Rail Festival, organised by Jo and Danny and set to happen on July 5 along the banks of the Thames, close to the Reading Festival site. It was all supposedly on track (sorry) at that stage, but this ambitious one-dayer fell through ‘late doors’. The festival was set to include several up and coming bands over two stages – showcasing everything from electronica and experimental jazz to guitar pop. The idea was to create something combining ‘the variety of a festival, with the intimacy of a gig’, and included a cinema tent and talk events among other attractions. There was even a discussion featuring indie cult Johnny Dee, NME C86 compiler Neil Taylor, Orange Juice legend Edwyn Collins and Weather Prophets/Loft frontman Pete Astor. But it clearly wasn’t meant to be this time, although the idea may resurface next year. Meanwhile, Jo and Danny keep themselves busy with their Third Rail music management enterprise, helping out behind the scenes with various acts. Clients include Danish psychedelic four-piece Pinkunoizu, Bristol alternative jazz combo The Lund Quartet, and 18-year-old rising talent The Cartoonist – aka James Munro. Not as if it’s easy to lump those last three together, but that wide church seems to characterise just what Jo’s musical philosophy is all about. But while that work goes on behind the scenes, Jo’s focus has now returned to her own recordings. And the signs are extremely promising. As she puts it: “They’re just great songs, played really well, and we’re all really enjoying what we’re doing. Fringe Note: As our conversation was a few weeks ago, I caught up with Jo again on the day of publication to check on a couple of queries, and it appears that things really have moved on. 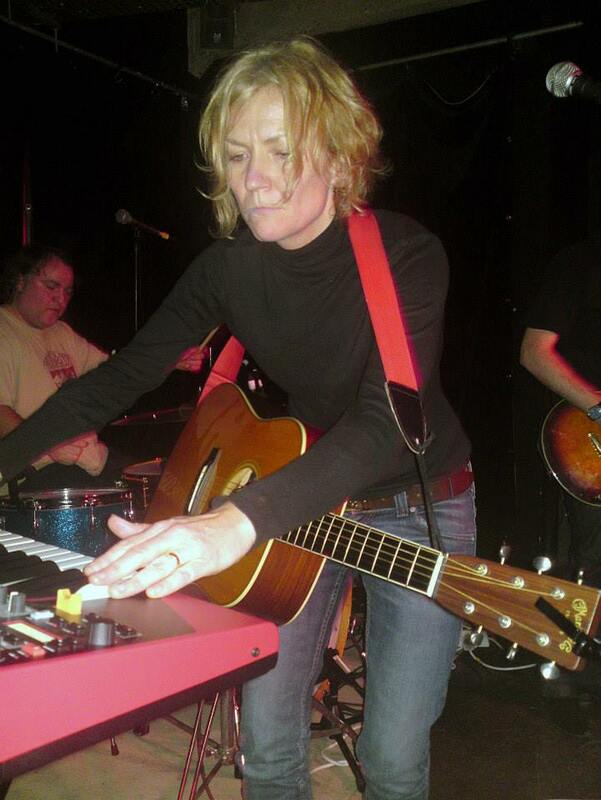 She added: “I’m actually putting the finishing touches – and we’re about 99% done -to the next Jo Bartlett album. “It will contain the four EP tracks plus five other songs. This is actually the album I’m now intending to release in October, on the Strikeback label. 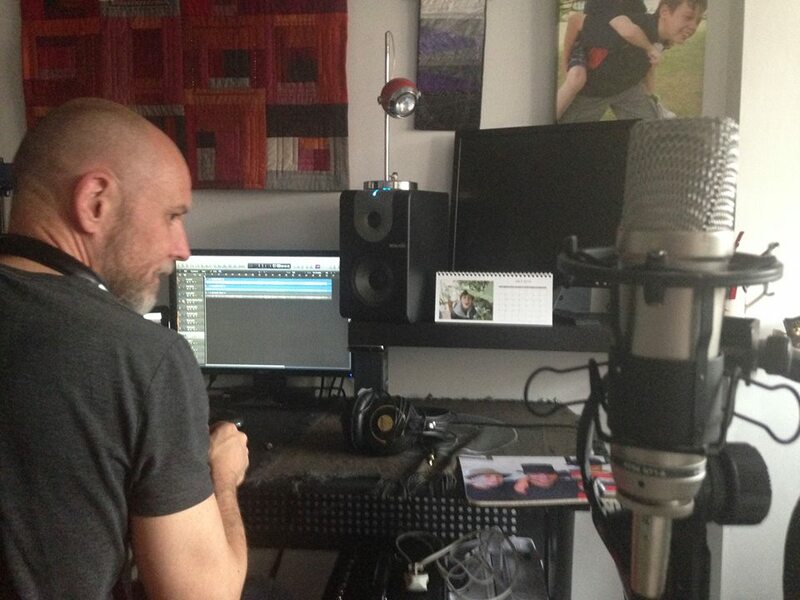 “It’s getting finished at Bark Studio in East London, where I’ve recorded most of my recordings from the It’s Jo and Danny days through to my solo stuff. 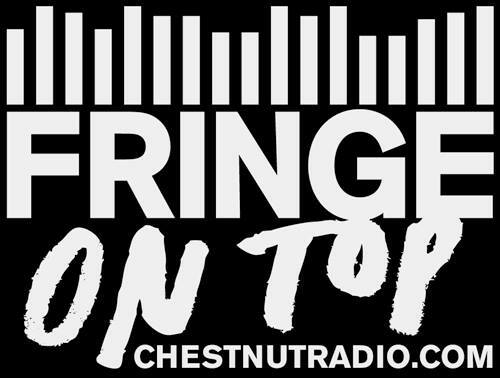 Not only that, but Jo also has her debut radio show, called Fringe on Top (the same as her blog, the title inspired by Edwyn Collins, Roger McGuinn, and all that), broadcast on US station ChestnutRadio.com every Tuesday at 11am in New York and 5pm in the UK, starting on Tuesday, July 15. Jo added: “The opportunity came about as the guy who runs this station in New Jersey is a fan of my music and is doing an hour and a half special on me – from Go! Service right up to the new solo recordings. “We did an interview on the phone and I said I’d love to present my own show – so I’m delighted to say that will now be happening. I best stop there, before Jo passes on details of her next venture. But to keep up to date with her musical projects and follow links to downloads and all that, check out her Fringe on Top website. This entry was posted in Music and tagged Bluetrain, Buzz Club, C86, Chestnut Radio, Dan Treacy, Danny Hagan, Go! Service, Green Man Festival, It's Jo and Danny, Jo Bartlett, Kodiak Island, Lund Quartet, Pinkunoizu, That Petrol Emotion, Third Rail, Yellow Moon Band. Bookmark the permalink.